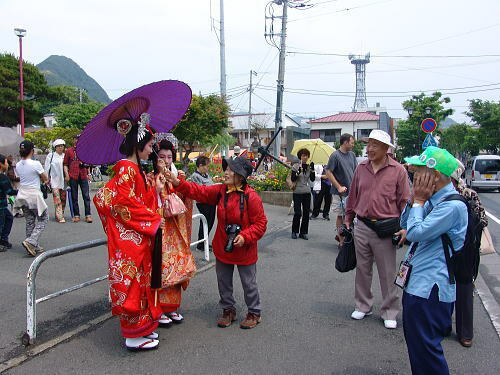 Pension Sakuraya is a family running guesthouse which is located in Shirahama beach in Shimoda, 10 minutes ride on bus or car from down town, the area of Black Ship Festival in Shimoda. 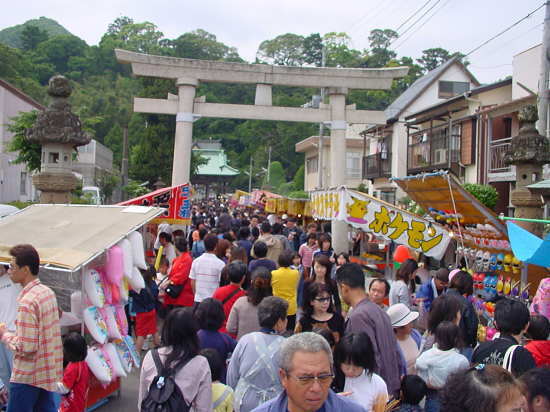 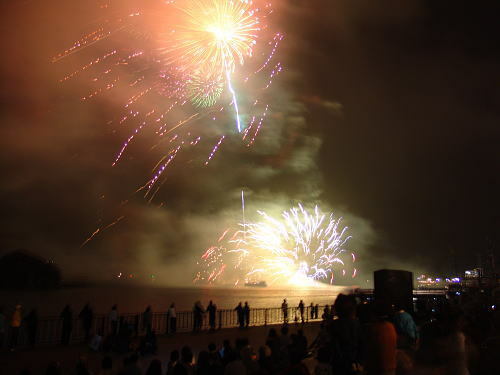 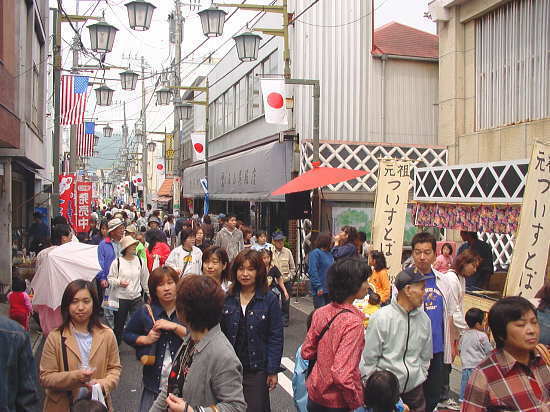 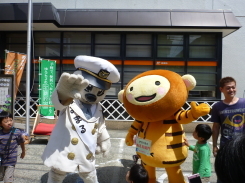 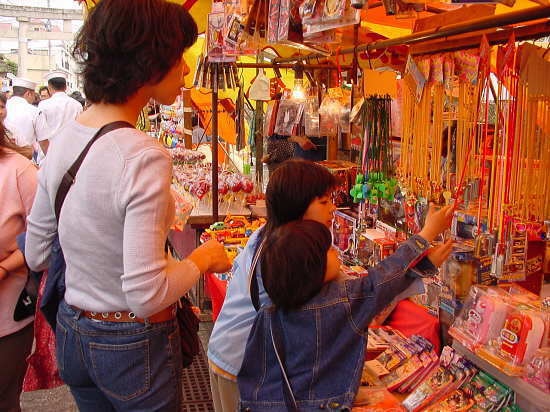 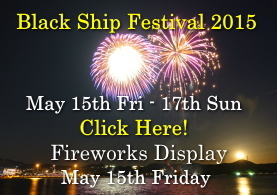 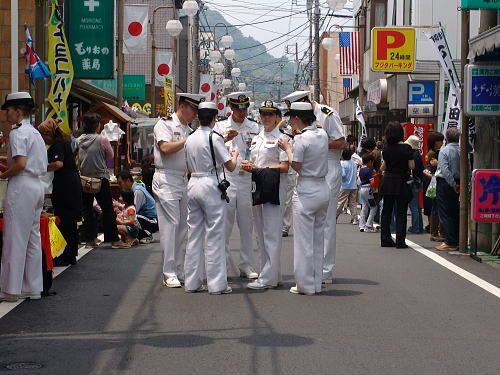 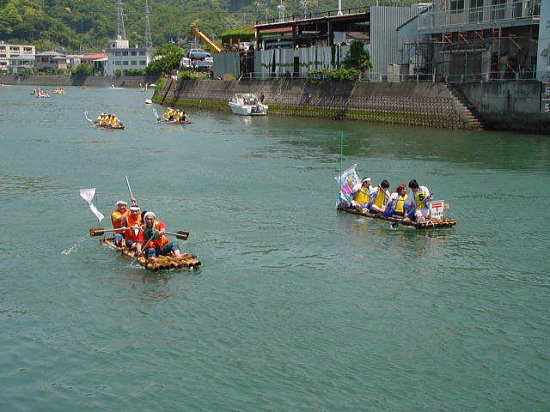 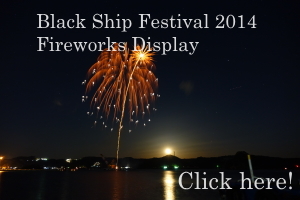 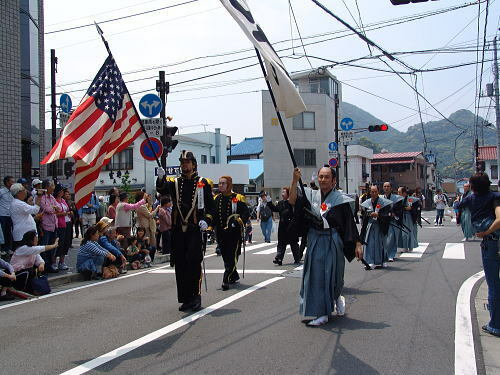 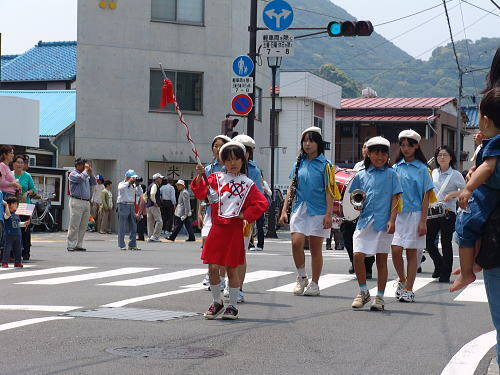 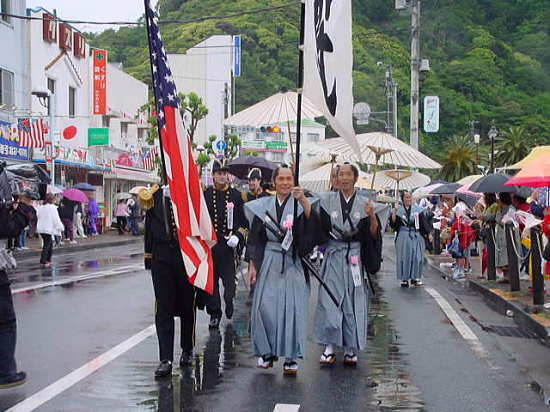 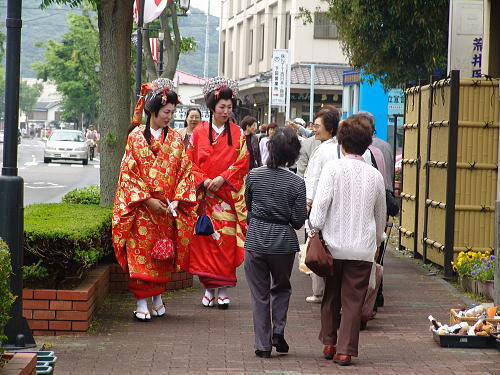 The most famous festival of Shimoda celebrated in honor of the arrival on the Blackship and the opening of Japan to the world. 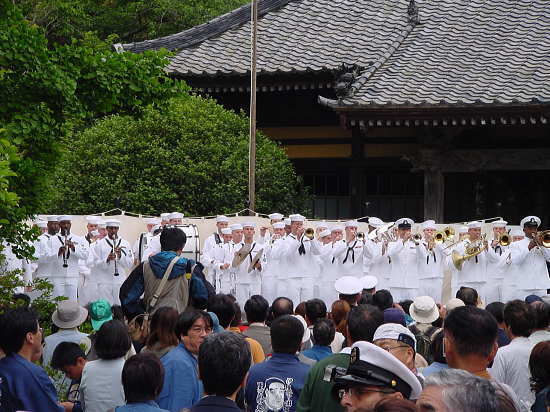 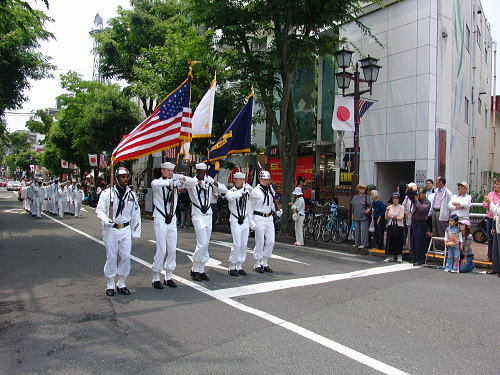 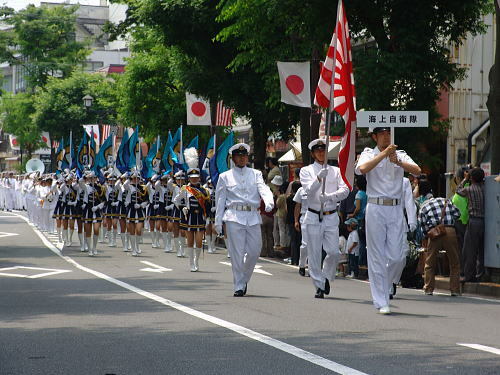 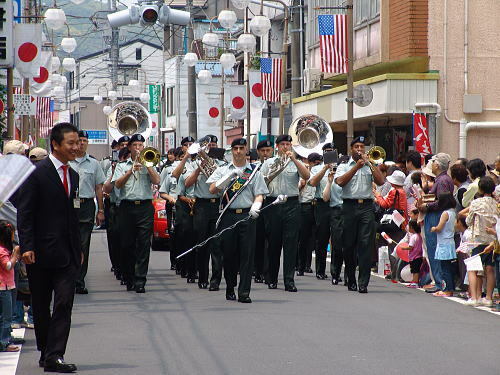 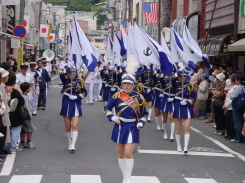 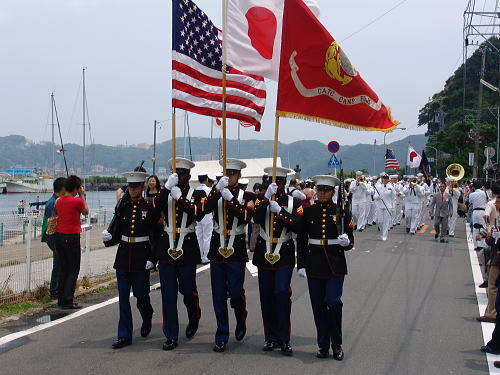 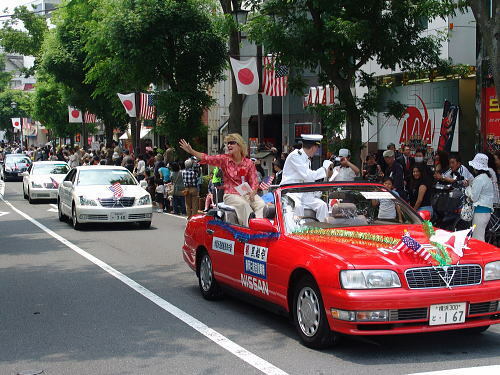 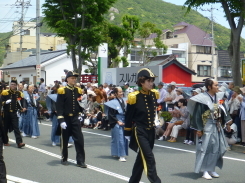 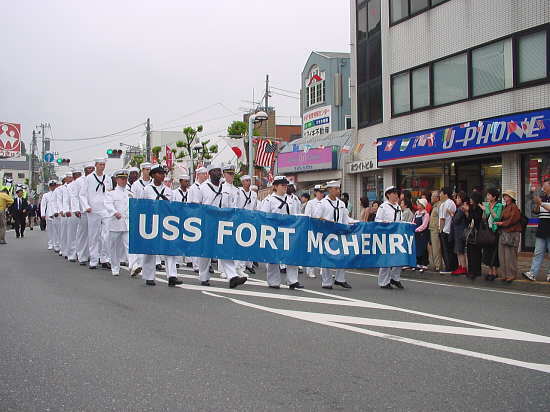 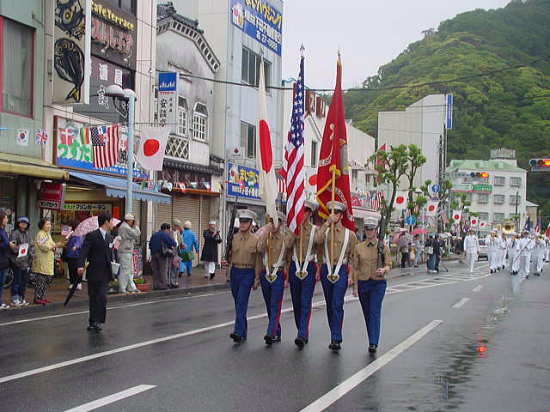 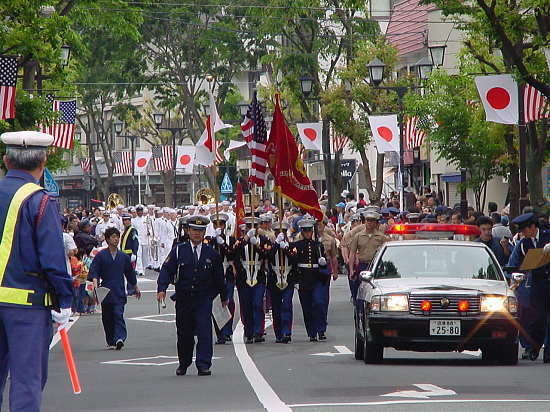 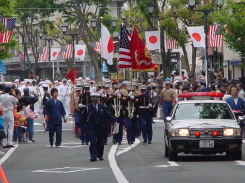 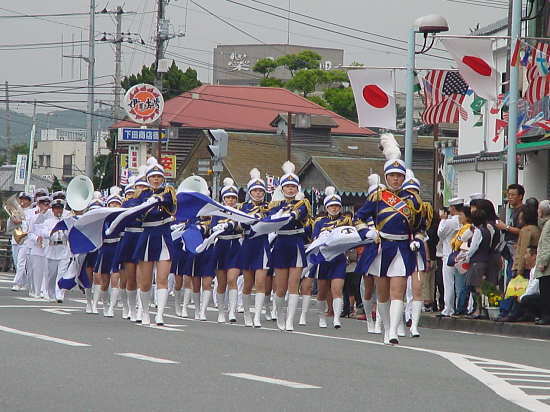 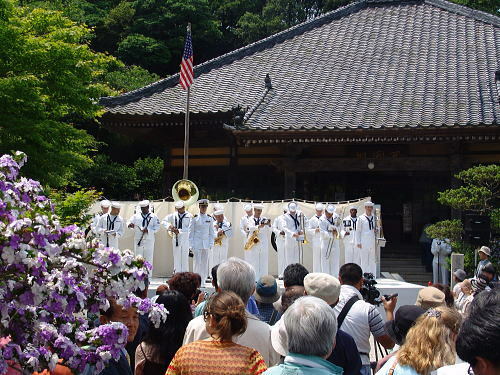 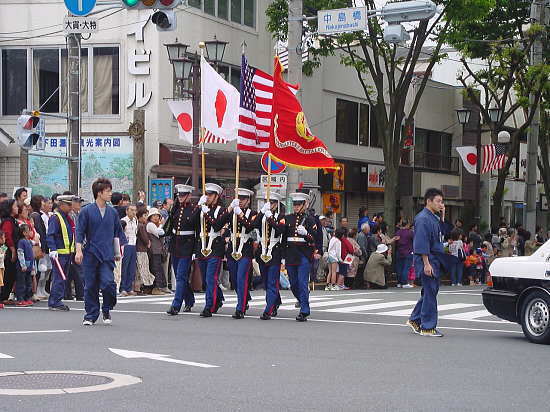 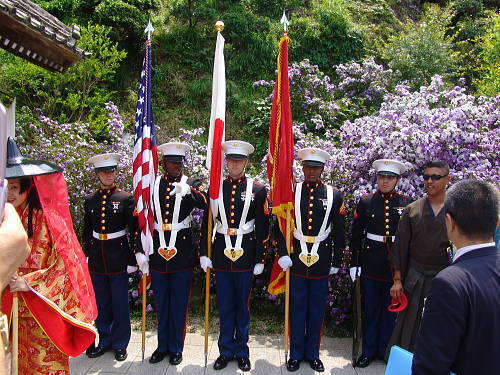 It is rich in international color featuring a ceremony at the Shimoda Park, the parading of the U.S.Naval marching bands and so on. 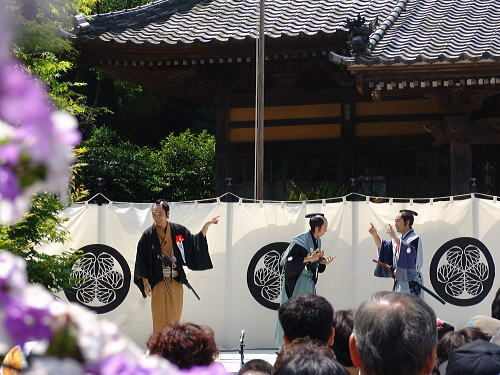 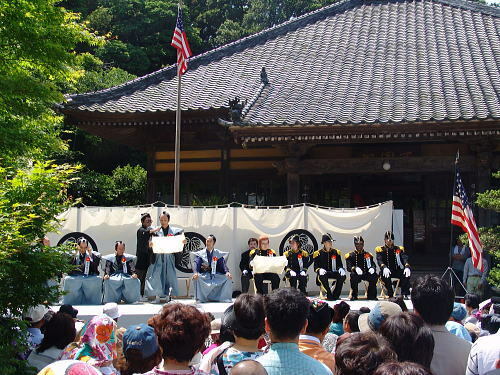 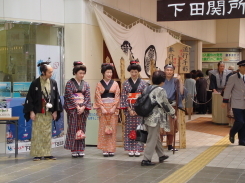 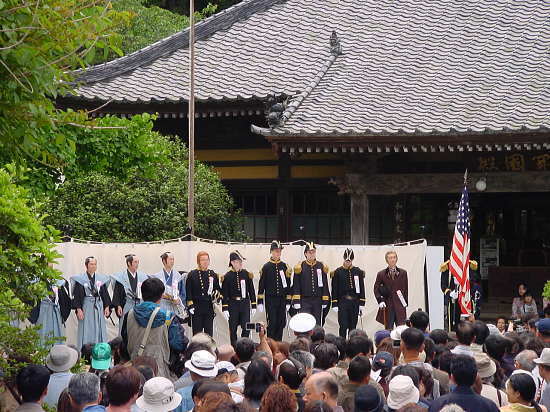 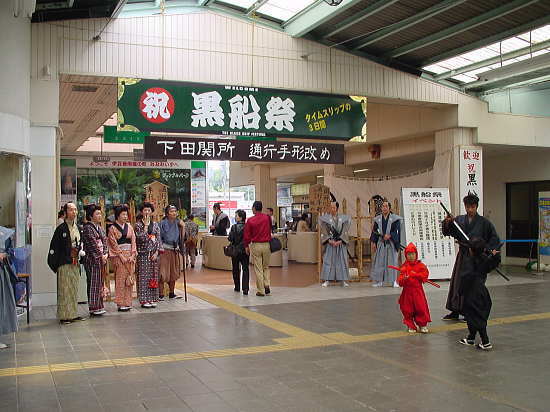 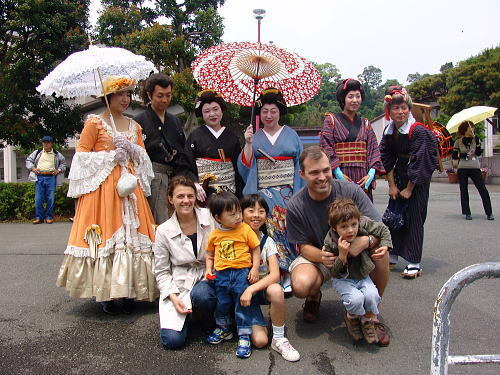 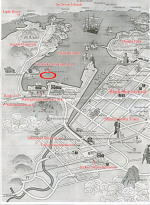 "The Blackship Journey" in which participants dressed as characters such as Commodore Perry and shogunate officials down to Ryosenji Temple draws especial attention from the watching crowd. 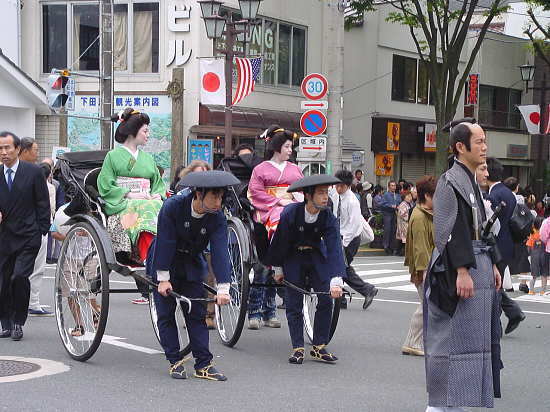 Onlookers are enwrapped in such excitements as if drawn back in time a century and half ago. 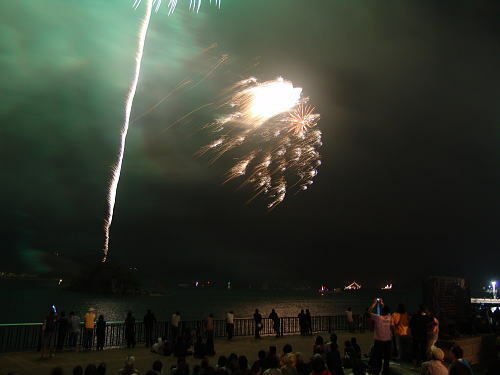 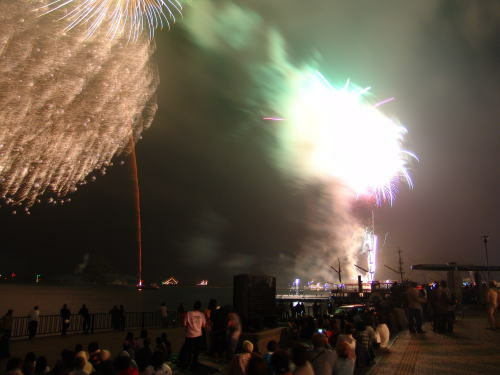 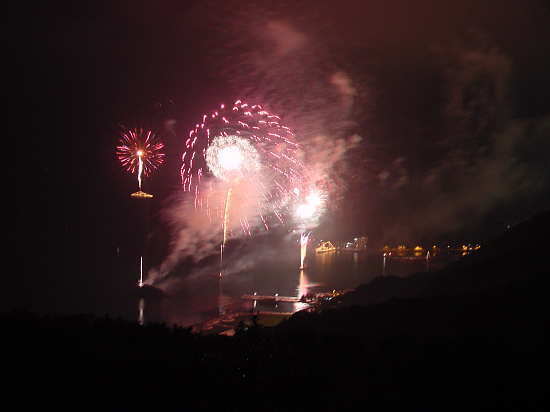 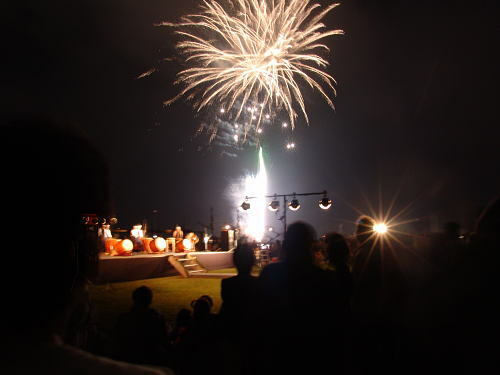 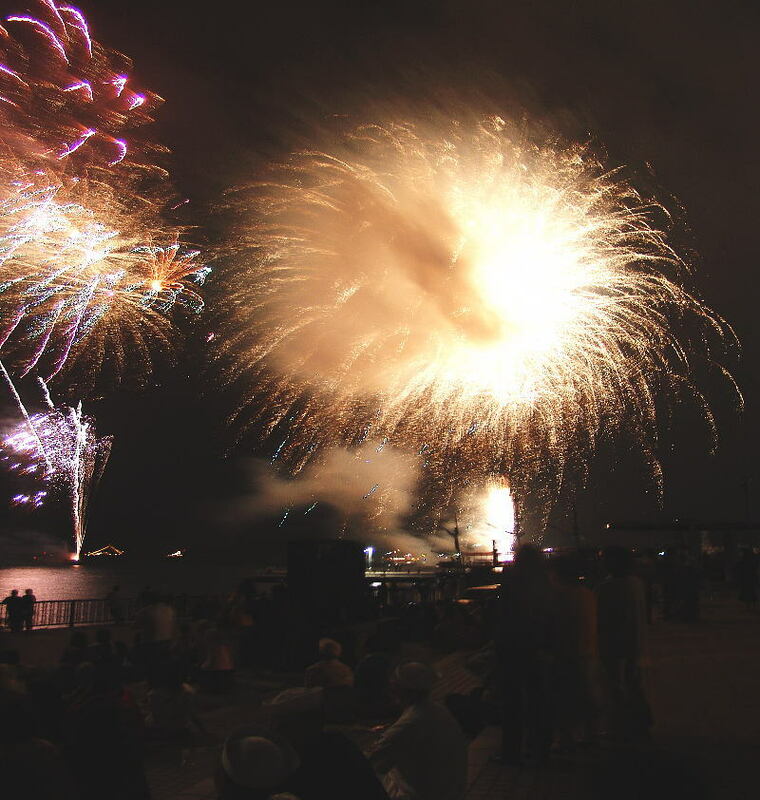 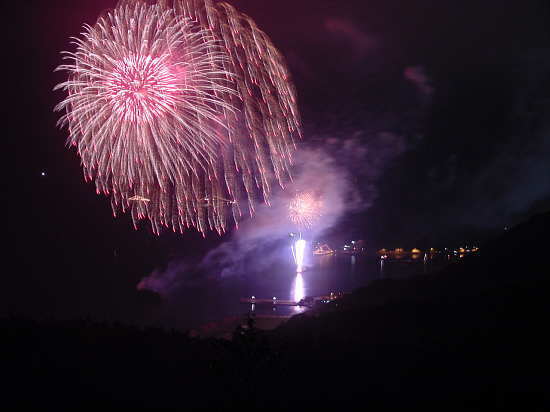 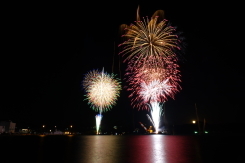 I took these photos at "Madogahama Seaside Park" near Shimoda Harvor, which is a good viewing spot for the fireworks. 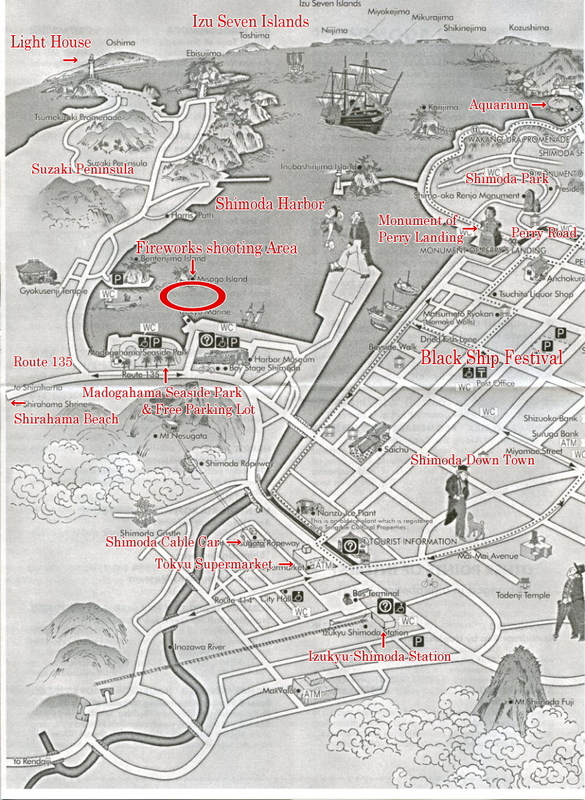 You should go to the free parking lot in this park as early as you can.